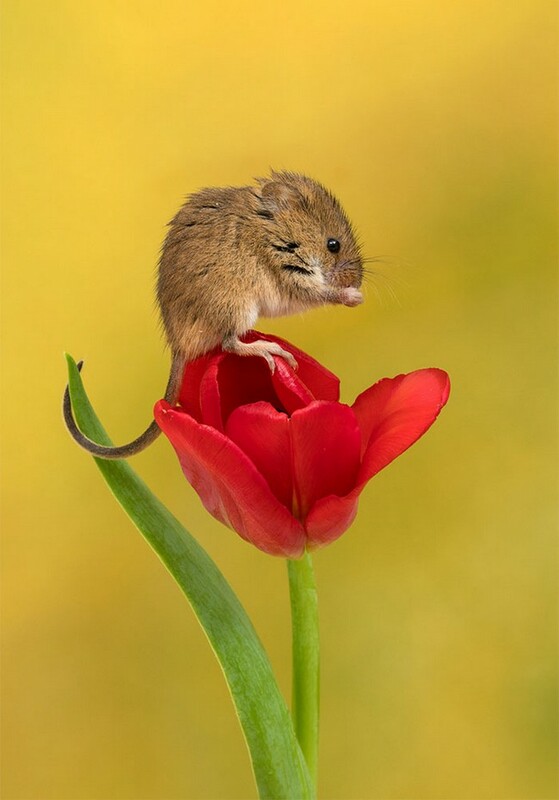 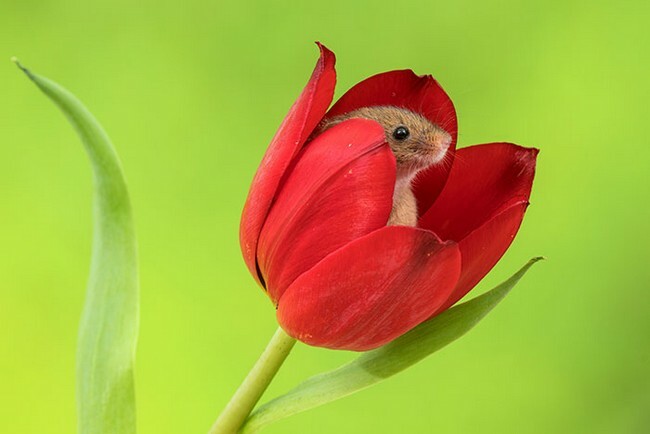 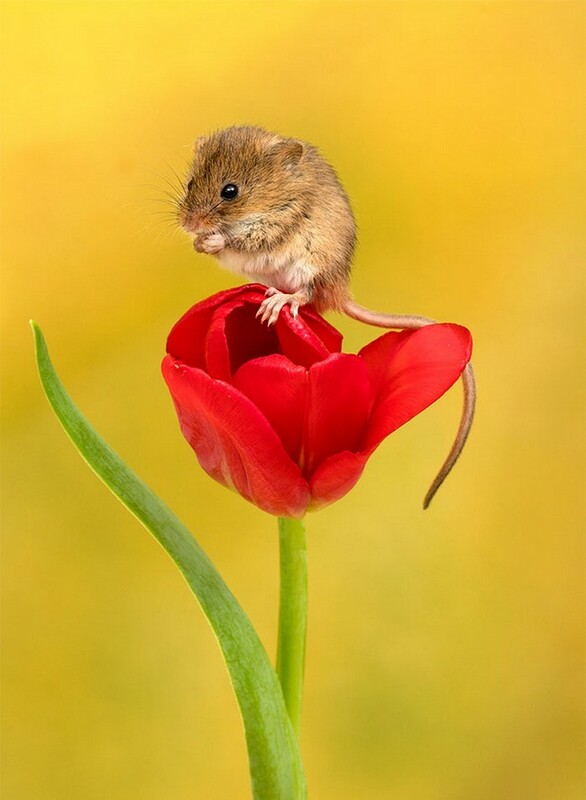 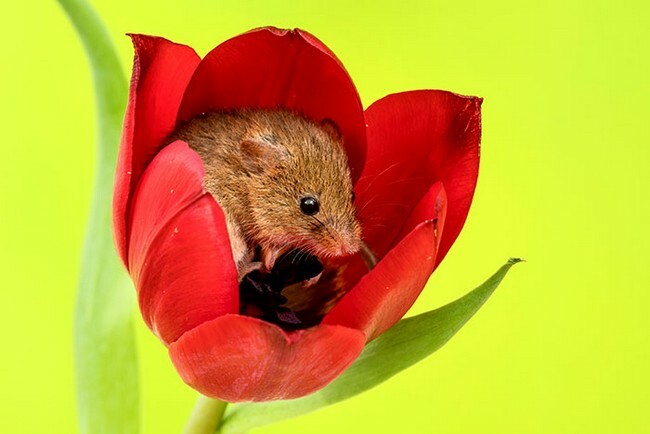 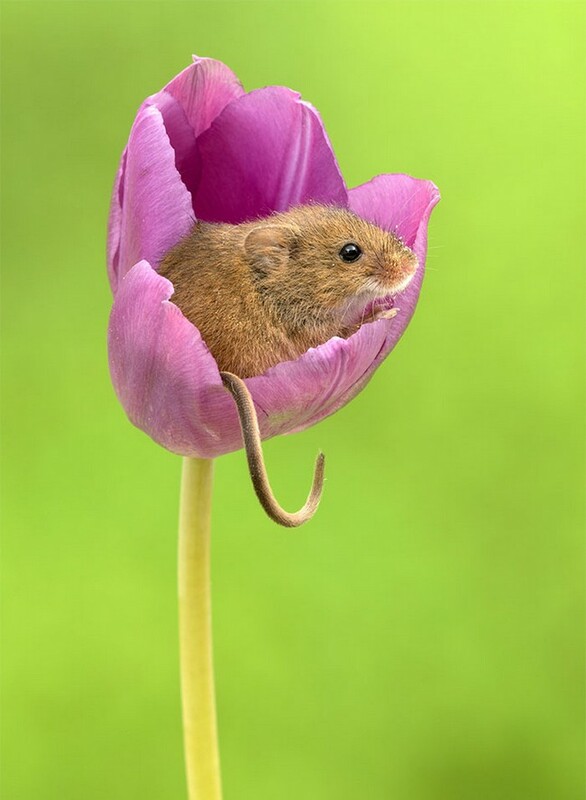 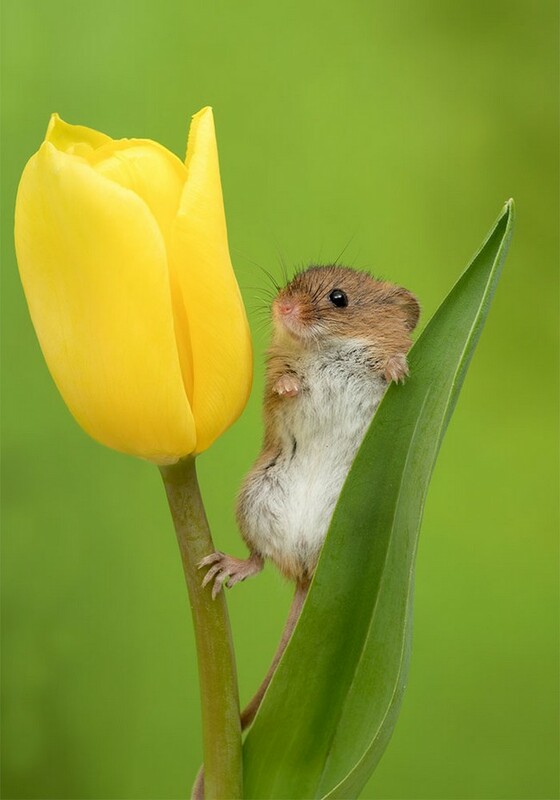 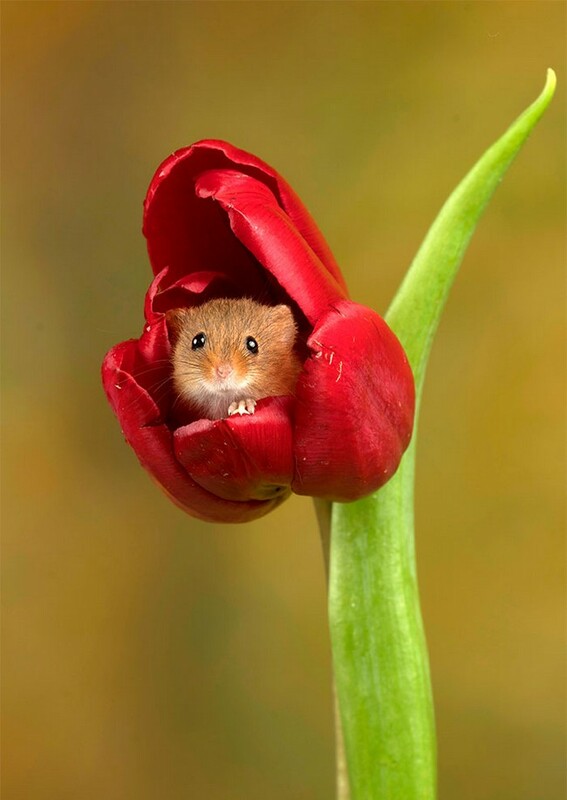 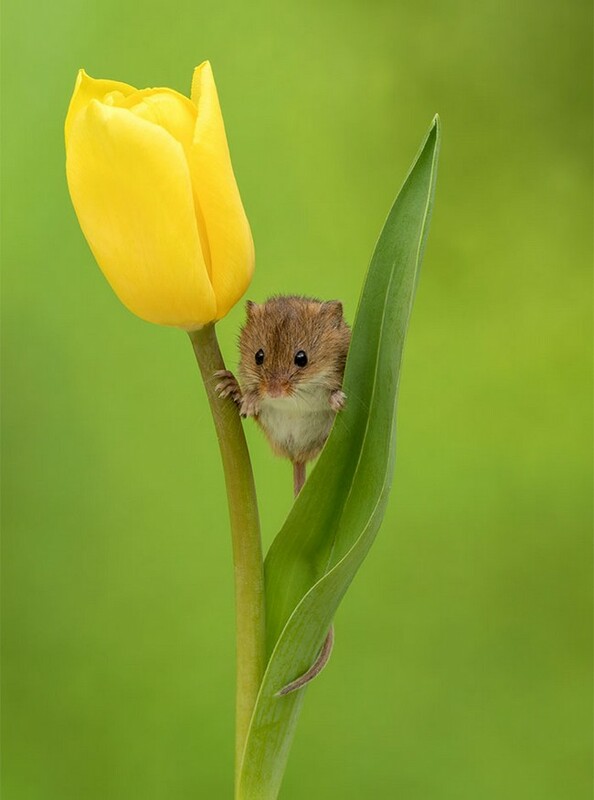 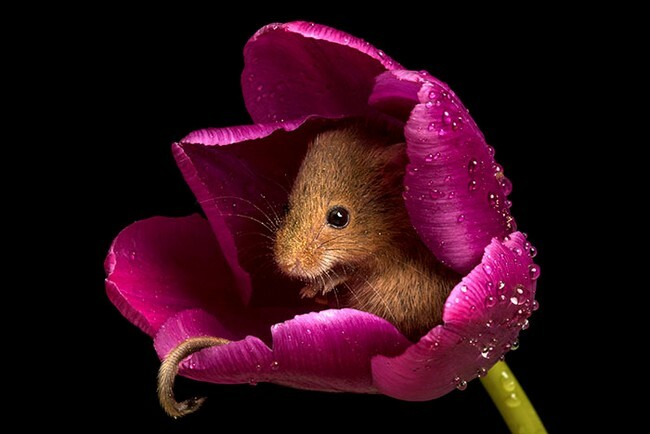 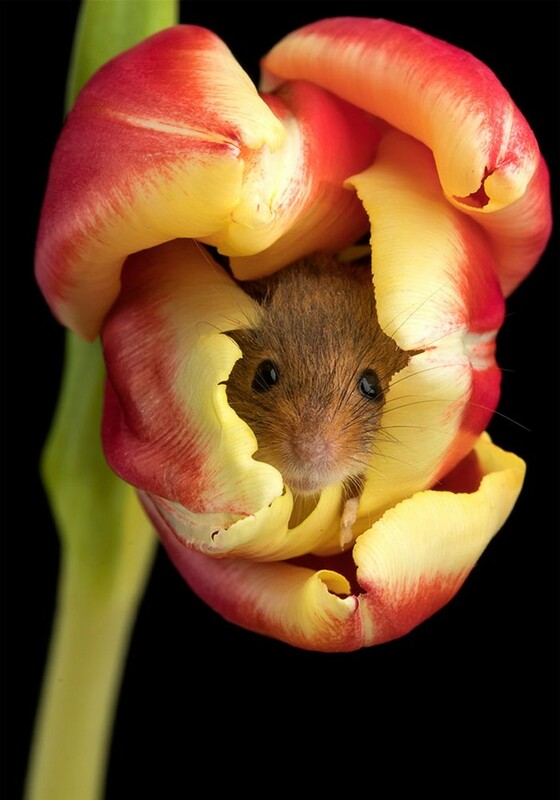 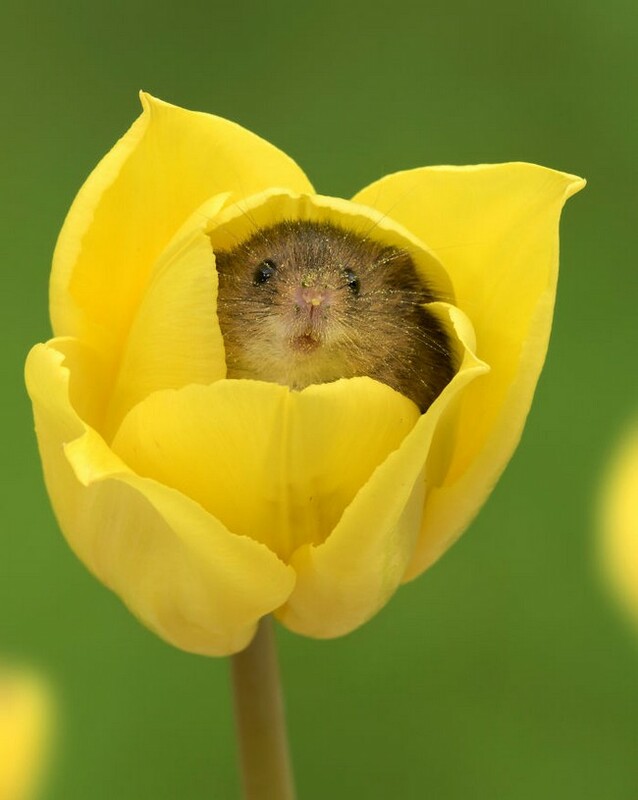 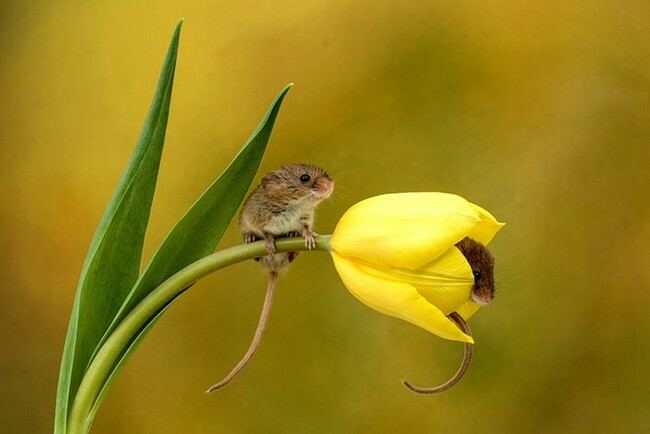 If any of us sees a mouse running through our house, a heart attack is just around the corner, but when you combine these rodents with a talented photographer and some tulips, you get the cutest photos ever! 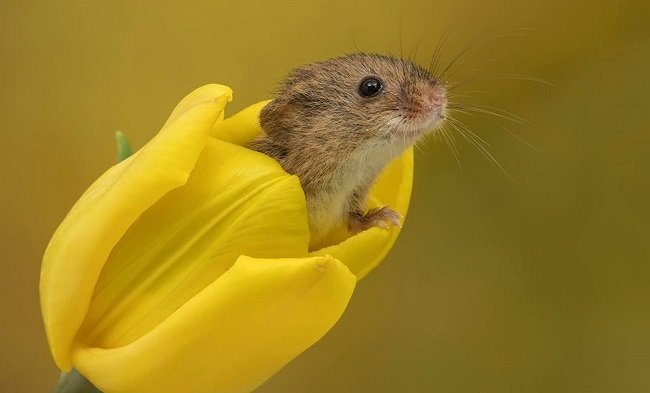 Walking into a house and seeing a mouse run through it is enough to make most of us be on the verge of a heart attack, but these small rodents can be quite the models. 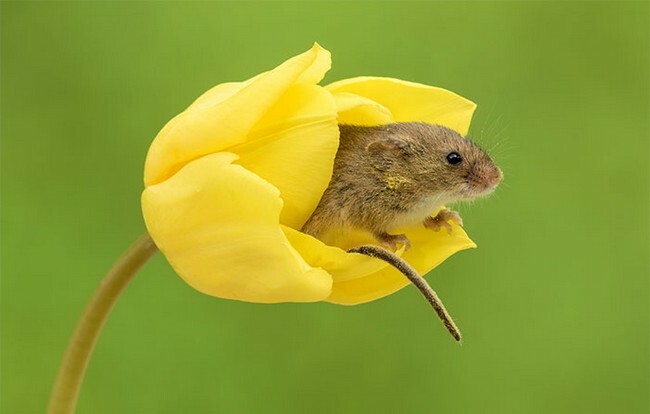 One British photographer even made field mice the theme of an entire photoshoot, and the results are just too cute for words… All the mice in the photoshoot were raised and groomed in captivity before they are released to a nature reserve nearby. 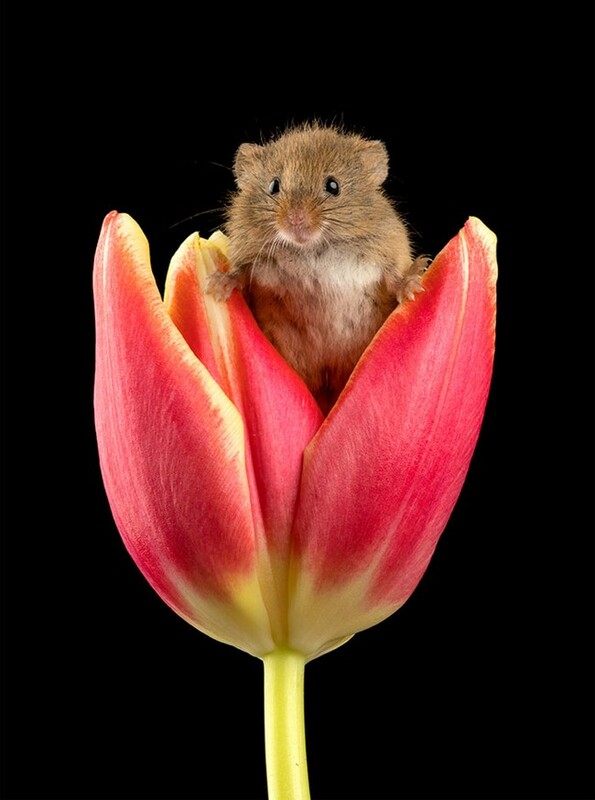 The sweet little creatures were photographed by Miles Herbert as they were climbing and hiding inside colorful and vibrant tulips that made the photo shoot natural and beautiful. 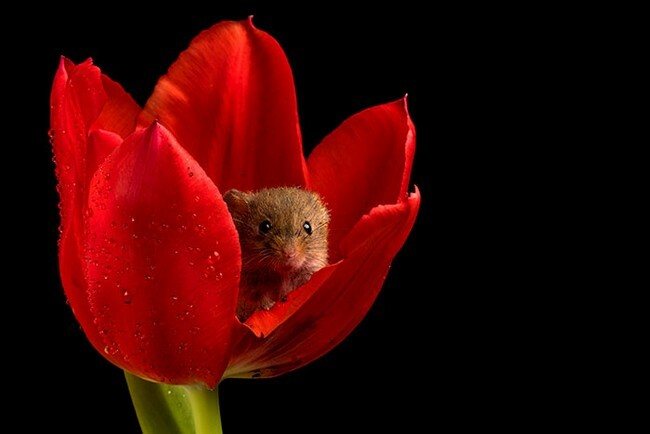 So, the next time you see a mouse running through your house, remember these 16 adorable photos before you get the broom and chase them around.